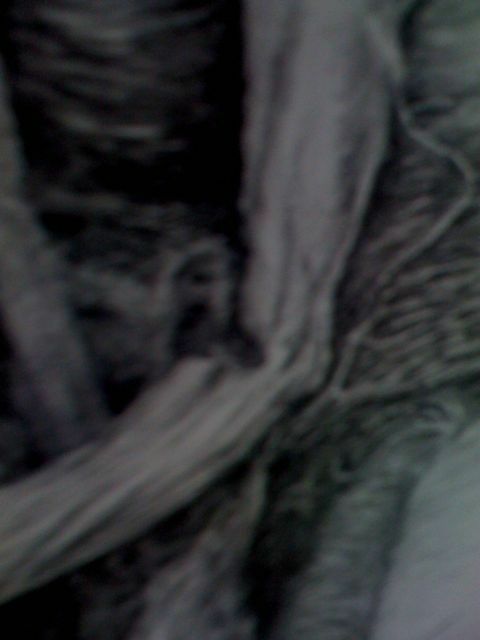 I am adding this photo to show the detail of the drawing. 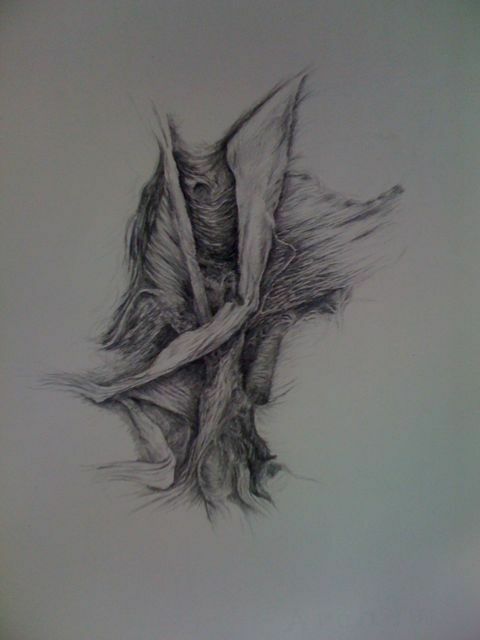 Formally viewing the drawing changes as you move back from the work. I have hung hemming the wall, on the wall they work best. Also the larger ones work best on the wall as well. Placing the drawings on the wall gives the viewer a wider range of viewing possibilities. For me the most interesting viewing distance from the small drawings was around two and half feet or so. I have started a part of twenty eight days that have been very excited about. I am taking what I call points of interest on the scape of the pink insulation and drawing them. 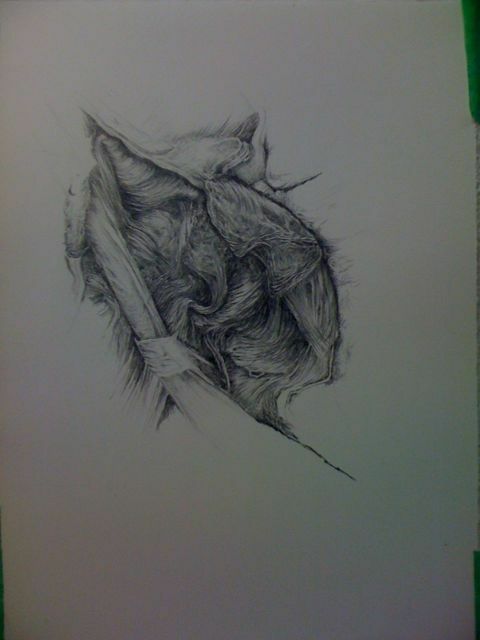 I am doing these drawings as a botanist would do a drawing of a detail of a specimen of interest for a field study. Conceptually doing detailed studies of select parts of pink insulation in this context begs to question what am I studying and what am I out to learn from the study. I have so far completed two. One on august 12 th the other august 22. I started a third on the 23,today. Practically speaking it’s working very well. I am able to complete them with relative speed ( comparing it to the large ones). This simply gives me a break and energizes the project allowing for a fresh new start for a larger one. This project will take some time and commitment to complete. It is critical that i do not lose site of my intention for this work. 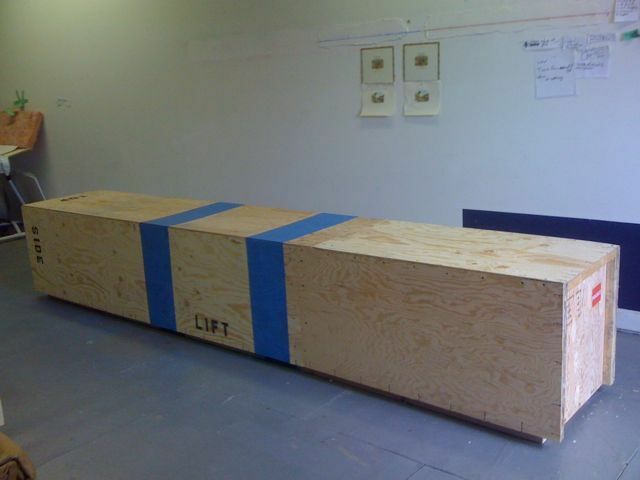 The crate for Montreal is ready to ship. 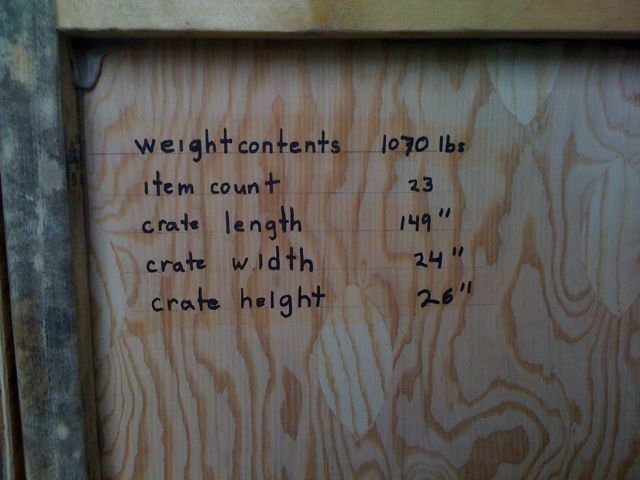 I have kept the text ,ie instructions, on the crate it self at a minimum. The next step is to call the broker to confirm shipping pick up and get ahold of the gallery for pick up times. Easy as pie. 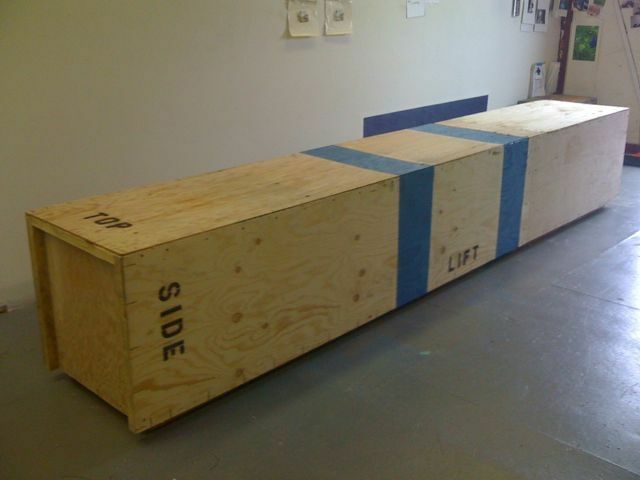 I am going to find an alternative place to store the crate when it’s ready to be shipped back. I am not sure where yet, even a different city or an alternative place to Vancouver. It doesn’t make sense to store this work in my studio. Too large and heavy. Plus, now I have it all in a convenient package. I may also change the title of the project to TOP/SIDE, or TOP/SIDE/LIFT. You are currently browsing the Jason Fitzpatrick: Studio Blog blog archives for August, 2010.